The Step Up series launched Channing and Jenna Dewan Tatum’s careers, and the two of them are Executive Producers for Step Up: High Water, a brand new YouTube Red TV show. Twins, Tal (Petrice Jones) and Janelle (Lauryn Alisa McClain) Baker are dancers back in Ohio, but when their mother gets arrested for drugs, they head to Atlanta to live with their hilarious Uncle Al (Faizon Love). Atlanta is where they find High Water, a school for those who can’t afford more, but also one that specializes in arts. When Janelle goes for her audition, she meets Davis (Carlito Olivero) and Odalie (Jade Chynoweth). Meanwhile, Tal is trying super hard not to get mixed up with the Atlanta scene that can certainly lead to trouble. And no matter where they turn there is trouble and rivalries. Ne-Yo and Naya Rivera are the big name stars that this show brings. Ne-Yo is Sage Odom, hip-hop Star and the creator of High Water, while Naya is Colette, the head of the school. There are a lot of standouts but the biggest is Odalie. The dancing and moves of this show are outstanding, and her moments stand above the rest. Meanwhile, Naya Rivera has been fairly quiet since her Glee days, and this gives her a chance to show off her skills, in both acting and dancing. Season 1 is now available on YouTube Red and while you will need a subscription to finish the season (or use a Free Trial?) the first four episodes are free. Binge watch shows have a habit of trying too hard to make every episode count, as they try to meet an episode count, and if they cut one or two episodes they would be perfect. 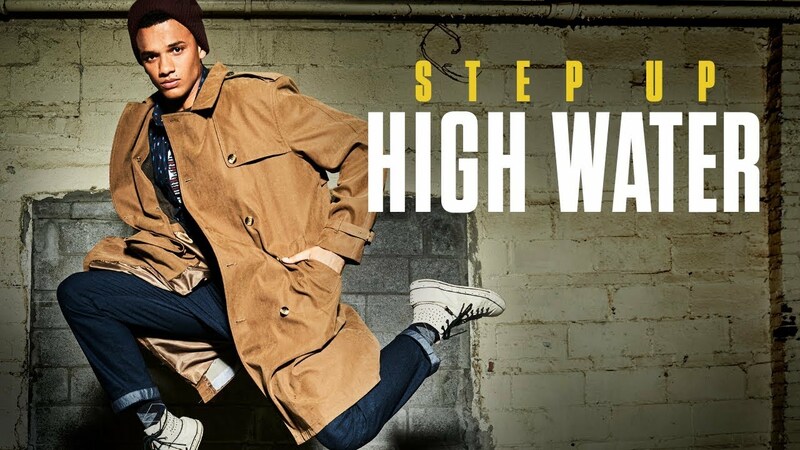 Step Up: High Water has no such struggle, as it feels like one giant Step Up movie, and full enjoyable from start to finish. So much so that I wanted to start watching it again the minute I finished…something that usually takes me a few weeks to do with really great shows (like Jessica Jones). The music is great. The choreography is great. And the acting does enough for the great storyline. Now let’s be clear, this show isn’t for everyone, as it’s certainly a small niche market. But for those who liked the Step Up movies, they are going to love this show, which gets a 9.5 out of 10. He was really good!! Him and Odalie were both outstanding, would love to watch more of them!